The sign at Puerto de Peñas Blancas indicated a refugio 4.5 km down the little road into the park. 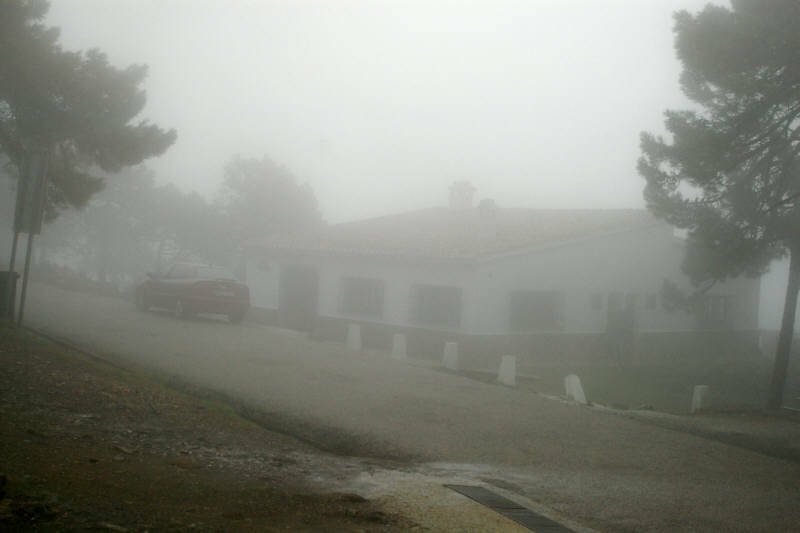 This was the Refugio Agustin Lozano, at an altitude of 1230 meters. We drove in and found refugio with the bathrooms unlocked. When we opened the door to the refugio, we were surprised to find someone inside with a fire going in the fireplace. They were two caretakers who said the almost did come and open the refugio because the weather was so bad. We had a cafe con leche, except daughter who had a hot chocolate.